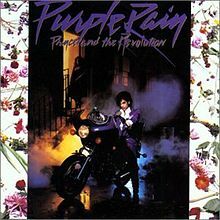 Where were you when you first saw Purple Rain? If you graduated high school within five years on either side of me, I’m almost certain you saw it in a packed theater. Given it opened in July 1984, you probably had to wait in a long, sweltering line to get in. You might have been amazed to be part of a racially mixed crowd (or, in our case at the Broad Street Cinema in the West End of Richmond, to be pretty much the only white people there). 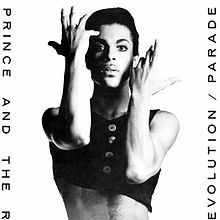 And when the movie started and you heard Prince intone, “Dearly beloved,” your mind and your ears were blown simultaneously. He played like Jimi Hendrix, squealed like Little Richard and danced like James Brown. His size and style took androgyny to uncharted territory. 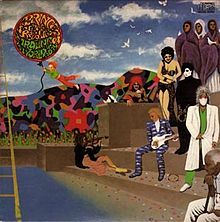 You readily forgave the movie’s porny women’s roles, the ridiculous dialogue and amateur acting – although Morris Day and the Time were almost worth the price of admission alone – because Prince was so off-the-charts RIGHTEOUS! Rock writer Alan Light was a Cincinnati high school grad spending his last summer at home before college when Prince’s semi-autobiographical extravaganza came out. In his latest book, Let’s Go Crazy, he provides as much of the backstory as he can about the making of the movie without being able to interview Prince anew or reprint any photos. 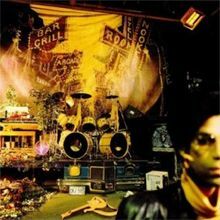 As the many online lists of “things you didn’t know about Prince” demonstrate, there’s still a lot here to delight long-time fans, especially the commentary by Wendy (Melvoin) and Lisa (Coleman) of the Revolution. But Light has a larger mission. He wants to prove why Prince matters, since anyone younger than him (us) may never have the opportunity to see what the man can really do. That’s not just because he’s not touring as much or because his albums have been a really mixed bag since Sign O’ the Times. As Light points out, Prince’s drive to keep moving forward – propelled by his exceptional ego – is destroying much of his legacy. Of course it’s Prince’s world and we just live in it, so he is perfectly within his rights to disavow his earlier stuff in order to follow his faith, control his image and promote the newest version of himself. While he’s still technically brilliant and can drop a really good album when he wants to (or two, as he did last fall), I doubt that will ever be enough to turn the younger generation into the hyperventilating, crazy-eyed fans we Xers will always be. P.S. Valentine’s Day is coming up – the perfect time to woo the rock-and-roller in your life with a copy of Love and Other B-Sides!